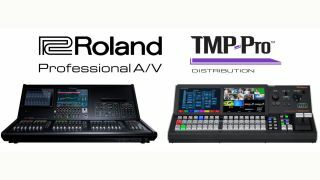 TMP-Pro has formed an exclusive distribution partnership with Roland Professional AV. As a leading manufacturer of digital AV products, Roland designs innovative digital solutions for live production, worship, broadcast, education, corporate, legal markets, and more. TMP-Pro prides itself on being more than a distributor; its specialists’ expertise and training allow them to guide their clients through Roland’s entire line of AV products, from the powerful multi-channel V-Series digital video switchers to the M-Series digital mixing consoles that can meet any configuration requirements.